These procedures specify the steps that must be taken to ensure accounts receivable are collected in a timely, fair and cost effective manner. If these procedures are followed, there should be no accounts reflected as 'Receivable' for over 30 days overdue without valid, documented reasons. 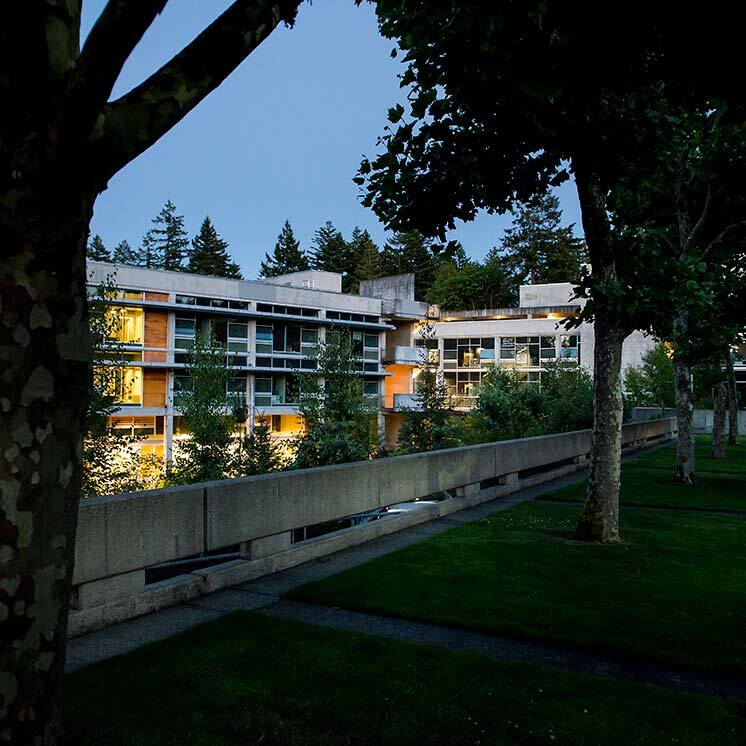 These procedures apply to all accounts receivable at The Evergreen State College (TESC). This includes both student accounts and non-student accounts receivable. The Business Services office has primary responsibility for ensuring compliance with this procedure. Accounting procedures for collection activities are covered in OFM 85.54.50. OFM specifies that "Written procedures are to be developed and followed to ensure that past due receivables are followed up promptly and in a manner that is cost effective for the overall collection program." OFM also states "Agencies that do not have special statutory collection authority, or specialized collection operations are encouraged to use collection agencies after receivables become 90 days past due. Accounts Receivable - Includes money owed to The Evergreen State College for goods or services provided to students and/or other parties. Student Accounts - Accounts for charges and payments for regular student activities, such as tuition and fees, student housing charges, childcare, meal plans, and other miscellaneous items. These accounts are also used for faculty and staff for purchase of similar services (such as meal plans or childcare). Non-student Accounts - All other accounts receivable for other services provided, such as conferencing services, tuition guarantees and supplies, advertising, equipment charges. Past Due - Includes any debt that has not been paid by the specified due date. Charges are entered in the Student Account billing system. A billing statement will be sent to the student or person identified as the billing contact. Charges incurred since the previous billing statement was prepared (within the last 30 days) are considered current charges and will be shown in detail. The date payment is due will also be shown on the billing statement. If charges are not paid by the due date on the billing statement, they are considered overdue. A new billing statement will be sent that indicates amounts that are "Past Due". A hold will be placed on the account and the debtor will be denied any college service until the debt is paid, including registration. However, if a student is currently enrolled when a debt becomes past due, they may remain enrolled for the current quarter, but will be denied other services (graduation, transcripts, etc.) and future registration will be denied until the debt is paid. If the charges are not paid within 60 days of becoming "Past Due", a separate "Final Demand" letter will be sent stating that if the debt remains unpaid after 30 days from the date of the final demand, the account may be turned over to a collection agency. If the charges are not paid 30 days after the Final Demand letter has been sent and the total amount overdue on the account is less than $50, the account should be flagged as "small balance - pending write off". The overdue balance should be written off when the next write-off entry is posted to the general ledger. The debt will not be discharged and a hold denying College services will remain on the account until the debt is paid in full. If the charges are not paid 30 days after the Final Demand letter has been sent and the total amount overdue on the account is $50 or more ($100 or more for Library and/or Media Loan charges only) the charges on the account will be verified with the appropriate College Department and sent to a collection agency. College departments may take collection action prior to sending an account to Business Services. This may be in the form of telephone calls, letters, repayment agreements, or personal interviews. Records of all such actions must be submitted to Business Services for recordkeeping purposes. If a client agrees to repay the debt over a period of time, a repayment agreement will be completed and signed by the debtor and a representative of the College. The debtor will be denied use of college services until the debt is paid in full. If the debtor does not abide by the terms of the agreement, the account will be sent to a collection agency. After 6 months, if there has been no activity on an account turned over for collection, the account will be recalled from that collection agency and submitted to a second agency for collection. However an account may be left with an agency for up to 12 months if there are indications that doing so would improve the chances of collection. The reasons for leaving an inactive account at a single collection agency beyond 6 months should be noted in the file. If the debt is still unpaid after the second agency has had the account for 6 months (or 12 months if for a valid reason as stated above), the account will be written off as an uncollectible. At the discretion of Student Accounts, an account may be placed with a third collection agency. Placement with the third agency will not discharge the debt. A hold will remain on the account and the debtor will be denied College services until the debt is paid in full. If an account is subsequently paid after being 'written-off', the charges must be reentered in the billing system at the time of payment. Under no circumstances will any Department or individual at the College write-off, waive or adjust outstanding receivables, to include interest and service charges accrued. All adjustments, write-offs and waivers must be authorized by Director of Business Services. All invoices for non-Student Account receivables will be prepared as required by the College's "Cash Handling" policy. When services are provided to a non-government agency, an invoice will be prepared by the charging unit and mailed to the vendor, with a copy will be sent to the Student Accounts office. The Student Accounts office will track all accounts receivable for TESC, including non-student receivables. If the charges are not paid within 30 days of the invoice date, the Student Accounts office will notify the appropriate College Department. Charging units may pursue overdue accounts themselves with pre-approval from the Director of Business Services. In either case, a separate "Past Due" notice will be sent to the vendor, together with a copy of the original invoice. If the charges are not paid within 30 days of the past due letter, a "Final Demand" letter will be sent stating that the account will be sent to a collections. If charges are not paid by the due date specified in the Final Demand letter (and are at least 90 days overdue), the account will be sent to a collection agency. After 6 months, if there has been no activity on an account turned over for collection, the account should be recalled from that agency and submitted to a second agency for collection. An account may be left with an agency for up to 12 months if there are indications that doing so would improve the chances of collection. The reasons for leaving an inactive account with a single collection agency beyond 6 months should be noted in the file. If the debt is still unpaid after the second agency has had the account for 6 months (or 12 months if for a valid reason as discussed above), the account will be written off as an "uncollectible account". At the discretion of Student Accounts, an account may be placed with a third collection agency. Placement with the third agency will not discharge the debt and the debtor will be denied additional services until the debt is paid in full. Government receivables are created when services are provided to a government agency (to include Native American tribes) outside the scope of normal student activities. Anytime such services are provided, an invoice will be prepared by the appropriate College department and mailed to the vendor. A copy of this invoice will be sent to the Student Accounts office. The student Accounts office will serve as a general Accounts Receivable office for the entire campus. If the debt is not paid within 30 days of the invoice date, the Student Accounts office will notify the appropriate College Department. With prior authorization, the charging units may pursue collections on past due accounts themselves, however all records pertaining to such action must be sent to Student Accounts for record retention purposes. If the individual Department does not pursue collections, Student Accounts will send a separate "Past Due" notice to the appropriate governmental agency, together with a copy of the original invoice. If the charges are not paid within 60 days of the original invoice date, a "Final Demand" letter will be sent to the appropriate agency warning that the account will be sent to the Attorney General's Office within 30 days for further collection. This final demand letter will be accompanied by all necessary support documentation. If payment is not received 30 days after the "Final Demand" letter is sent, the account will turned over to the Director of Business Services for forwarding to the Attorney Generals office.